Eligible Models 2019 Dixie Chopper 2248KW Blackhawk 22 hp 48 in. 2019 Dixie Chopper 2248KW Blackhawk HP 22 hp 48 in. 2019 Dixie Chopper 2342KO Zee 2 23 hp 42 in. 2019 Dixie Chopper 2348KO Zee 2 23 hp 48 in. 2019 Dixie Chopper 2348KW Zee 2 23 hp 48 in. 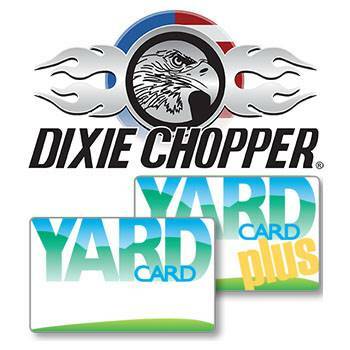 2019 Dixie Chopper 2354KO Zee 2 23 hp 54 in. 2019 Dixie Chopper 2354KW Zee 2 23 hp 54 in. 2019 Dixie Chopper 2454KW Blackhawk 24 hp 54 in. 2019 Dixie Chopper 2454KW Blackhawk HP 24 hp 54 in. 2019 Dixie Chopper 2460KW Blackhawk 24 hp 60 in. 2019 Dixie Chopper 2460KW Blackhawk HP 24 hp 60 in. 2019 Dixie Chopper 2548KOE Blackhawk HP 25 hp 48 in. 2019 Dixie Chopper 2554KOE HP Blackhawk 25 hp 54 in. 2019 Dixie Chopper 2560KOE Blackhawk HP 25 hp 60 in. 2019 Dixie Chopper 2750KW Classic 27 hp 50 in. 2019 Dixie Chopper 2754KOE Eagle 27 hp 54 in. 2019 Dixie Chopper 2754KW Eagle 27 hp 54 in. 2019 Dixie Chopper 2760KOE Eagle 27 hp 60 in. 2019 Dixie Chopper 2760KW Classic 27 hp 60 in. 2019 Dixie Chopper 2760KW Eagle 27 hp 60 in. 2019 Dixie Chopper 3160KOE Classic 31 hp 60 in. 2019 Dixie Chopper 3160KOE Eagle HP 31 hp 60 in. 2019 Dixie Chopper 3160KW Classic 31 hp 60 in. 2019 Dixie Chopper 3160KW Eagle HP 31 hp 60 in. 2019 Dixie Chopper 3160KW XCaliber 31 hp 60 in. 2019 Dixie Chopper 3360KOE XCaliber 33 hp 60 in. 2019 Dixie Chopper 3366KOE Eagle HP 33 hp 66 in. 2019 Dixie Chopper 3366KOE XCaliber 33 hp 66 in. 2019 Dixie Chopper 3372KOE Eagle HP 33 hp 72 in. 2019 Dixie Chopper 3566KW Eagle HP 35 hp 66 in. 2019 Dixie Chopper 3566KW XCaliber 35 hp 66 in. 2019 Dixie Chopper 3572KOE Classic 35 hp 72 in. 2019 Dixie Chopper 3572KW Classic 35 hp 72 in. 2019 Dixie Chopper 3572KW Eagle HP 35 hp 72 in. 2019 Dixie Chopper 3574KOE XCaliber 35 hp 74 in. 2019 Dixie Chopper 3574KW XCaliber 35 hp 74 in. 2019 Dixie Chopper 3672BR Classic 36 hp 72 in. 2019 Dixie Chopper 3674BR XCaliber 36 hp 74 in. 2018 Dixie Chopper 1532S Pursuit 15 hp 32 in. 2018 Dixie Chopper 1536D Pursuit 15 hp 36 in. 2018 Dixie Chopper 1536S Pursuit 15 hp 36 in. 2018 Dixie Chopper 1544D Pursuit 15 hp 44 in. 2018 Dixie Chopper 1832S Pursuit 18 hp 32 in. 2018 Dixie Chopper 1836D Pursuit 18 hp 36 in. 2018 Dixie Chopper 1836S Pursuit 18 hp 36 in. 2018 Dixie Chopper 1844D Pursuit 18 hp 44 in. 2018 Dixie Chopper 2548KWE Stryker 25 hp 48 in. 2018 Dixie Chopper 2554KWE Stryker 25 hp 54 in. 2018 Dixie Chopper 2648BR Stryker 26 hp. 48 in. 2018 Dixie Chopper 2654BR Stryker 26 hp. 54 in. also available. For offer details about commercial cards, please contact your local dealer. accountholders, see your credit agreement for applicable terms. Subject to credit approval. Yard Card financing account issued by TD Bank, N.A.